Following his moving speech, the audience gave Outland a standing ovation. Later in the program, Navy members performed a tribute to the American flag called “Old Glory.” Afterwards, the flag used in the performance was presented to Outland. This honor came as a surprise, and brought tears to Outland’s eyes. 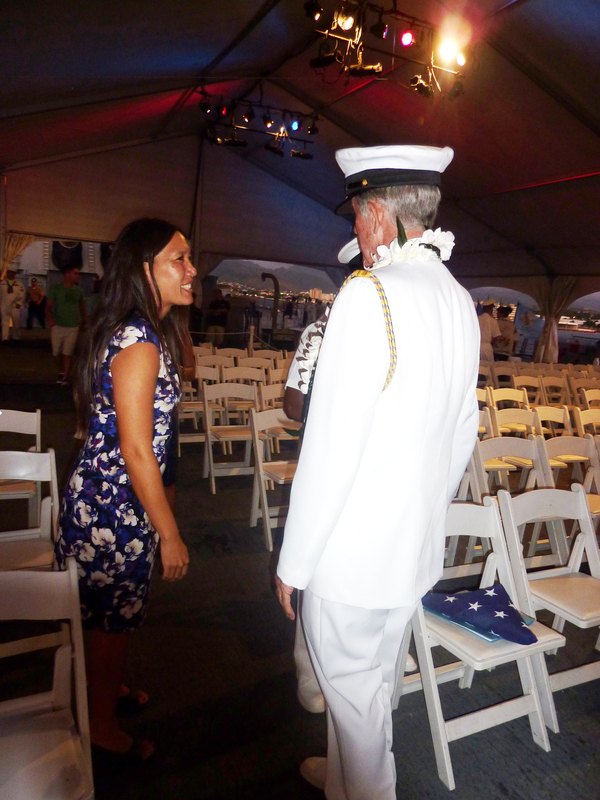 Sen. Shimabukuro was very proud to listen to her constituent and friend Brooks Outland on Veteran’s Day. 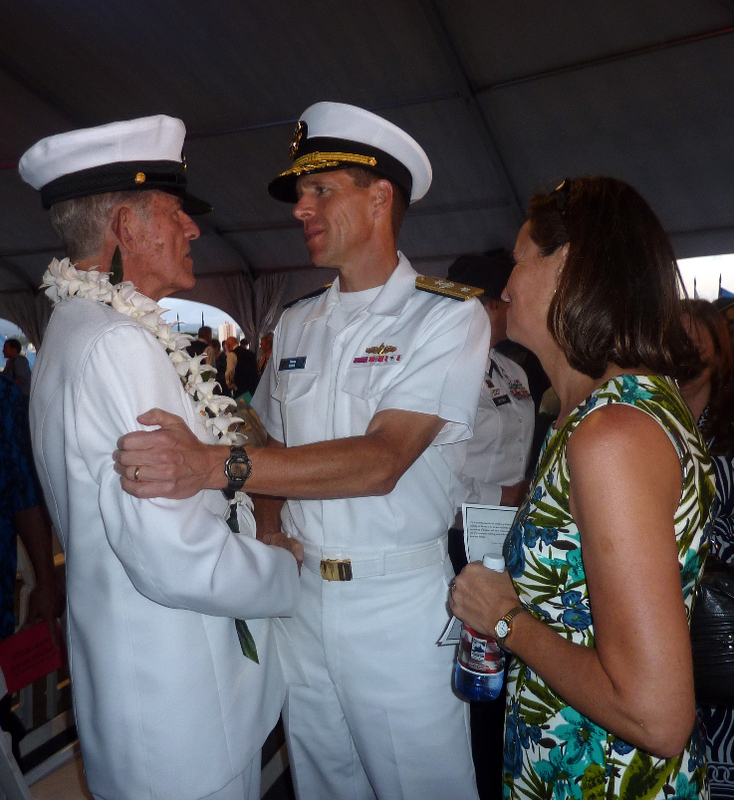 “Mahalo nui loa to Brooks and all veterans and active duty military members for your sacrifices on behalf of your fellow citizens,” Shimabukuro said. 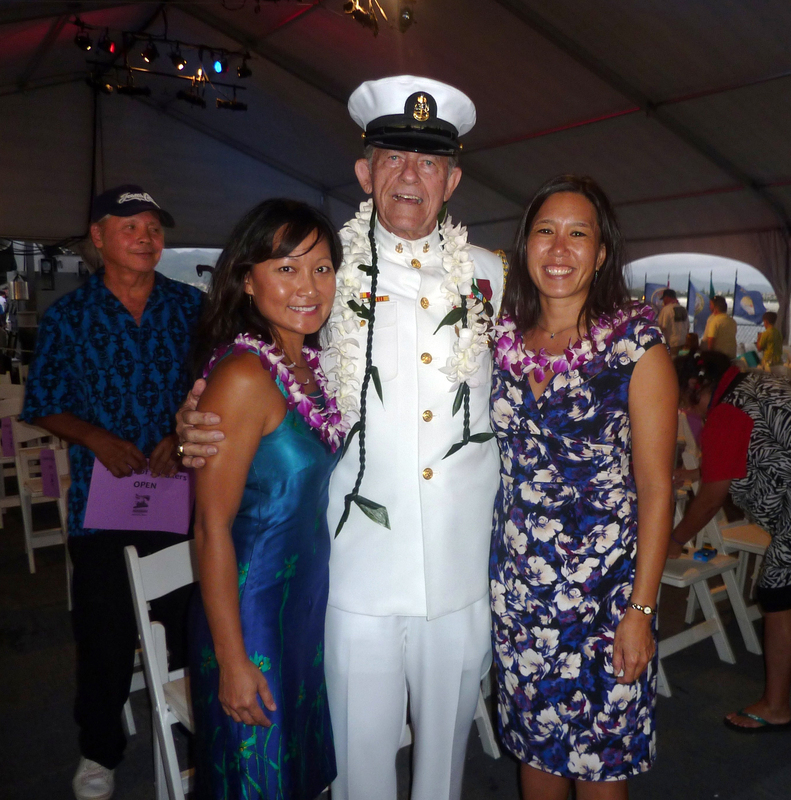 Brooks Outland (center), with Sen. Maile Shimabukuro (right), and Sen. Shimabukuro’s friend, Jessica Ear (left). 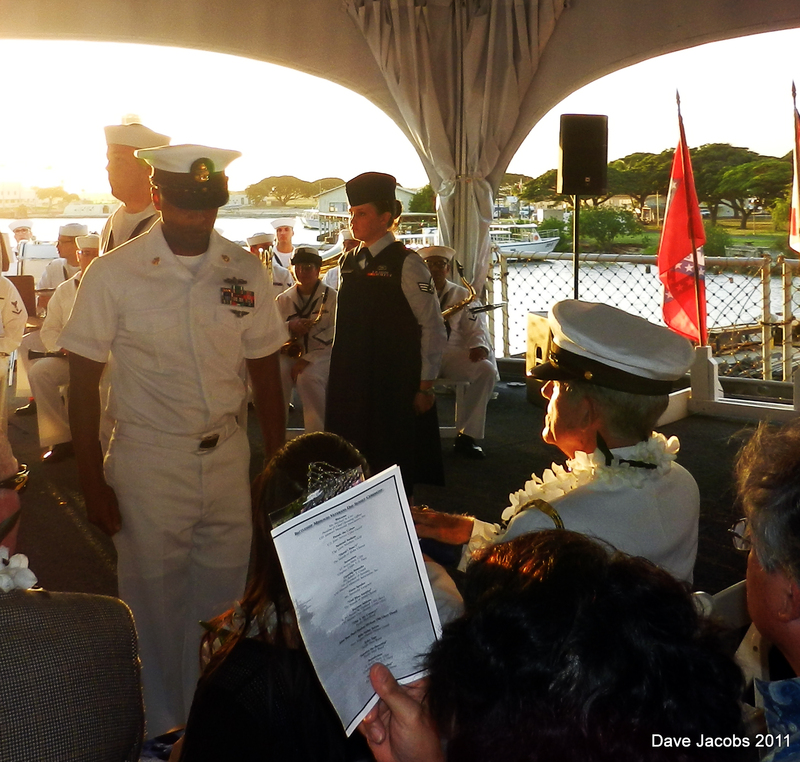 In the background is Cal Domen of Wai`anae, a Navy veteran. Wow! 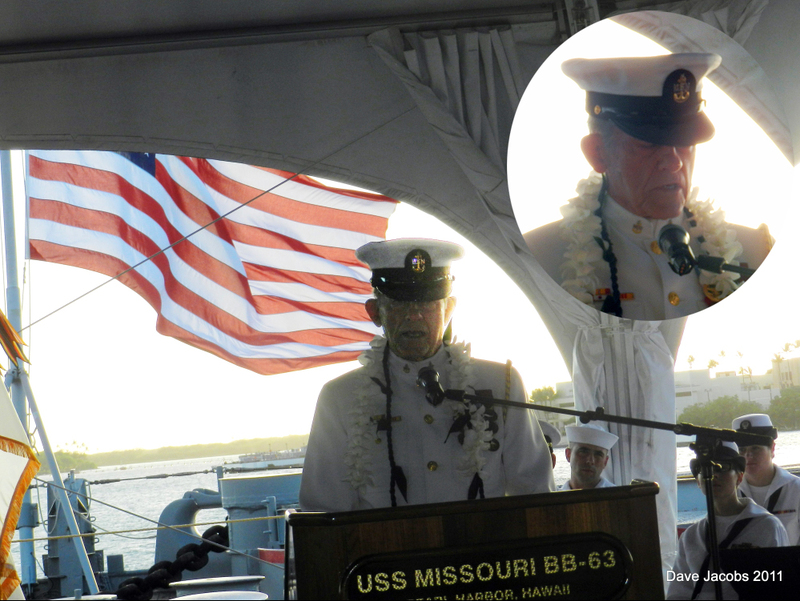 His service is no ka oi!